Star Raiders is Published by Atari Europe and Developed by Incinerator Studios. As most of us know, Star Raiders is an old title from the late 1970’s. 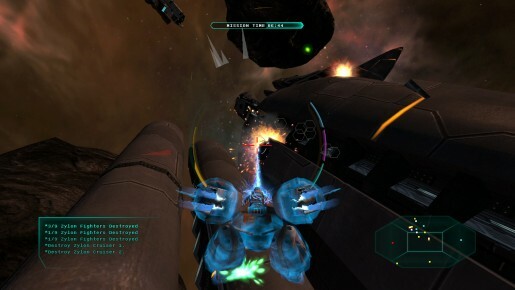 This game started the inspiration for future space combat titles and could be considered an archetype. Having Atari bring back a name like this will definitely cause some curiosity, especially those gamers who have played the original. As an XBox Live game, there is not enough voice acting in the game, apart from the intro with your main character explaining how your team is the Star Raiders crew. But that will be the only time you have the voice interaction. Afterwards you only get text explanation, which is sometimes the downfall with most gamers. Then you hit the tutorial of the game where it teaches you the mechanics and controls of the game. Not to mention the way your missions will be brought to you. Your commander will let you in on your missions before hand. Even though it seems sometimes you will be getting additional help for your ship for example, the gameplay gets too simple. You fly around and attack the enemies. In terms of navigation, there is a screen on the left that lets you know how many enemies you will have to destroy. 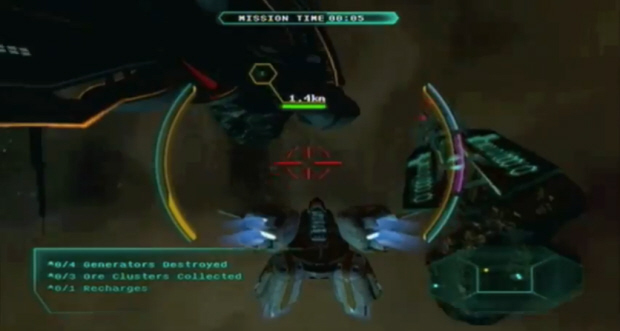 You also have a timer to go with the mission where you have to defeat all the enemies and in due time. You get a salvage point for every enemy ship you destroy which is the way you get your loot to upgrade. In order to get better upgrades you will have to pay up. In your mission, when you chase your enemy around, you get your alerts on enemies approaching as a warning. The downfall however is being able to attack the enemies. It’s hard and really annoying to chase around one of your enemies. Honestly, without an upgrade in your disposal you will have a difficult time taking them down. 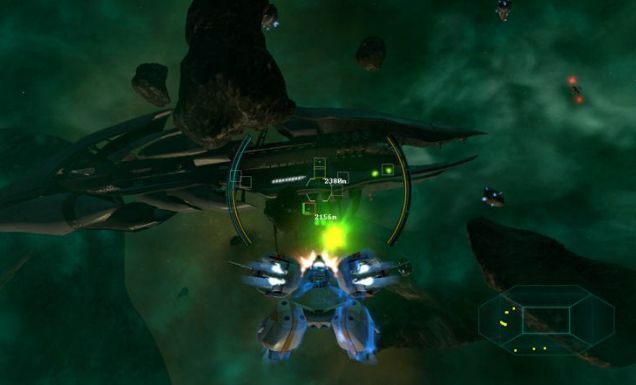 Now when it comes to combat, you have your three main types you can switch your ship from; Attack, your standard mode, Assault, your strafe for stationary enemies, and Turret, slow but very powerful. Each one can be used to your favour. The way you can tell if you're dying is the colours on your meter. From green to orange and then to red which will trigger the final explosion. That is your basic gameplay. Mission to mission, shoot to kill, move on. Once you are in the menu to continue a mission you also have your chance to change a few things with your ship. Another great point about the game is your chance to make your ship more powerful and more chances to change the way you attack your enemies. Nothing is better than a great fight with an upgraded weaponry. Now the graphics of the game is very basic. The simple space graphics in the game does give you the feeling that you are in space and the ship is nicely animated. Between the three modes of the ship each one does have it’s nice attributes. Unfortunately the soundtrack is limited but does become faster when the battles commence. You can tell the Atari and Incinerator team were going for a more advance and more entertaining approach with its upbeat soundtrack. In the end, the missions are the same just different loot drops. The upgrades and different types of ship is the highlight of the game and it is a great way to bring a classic title to its modern players. The approach was in the right direction; it just needs something more into its gameplay. Even so, consider this title an okay game to try out.